You’ve made the decision to improve your living space with the addition of a fire feature. You’ve made a great choice as fire is a tried and true element that has brought families together for generations. You’ve entered into a world of options when it comes to the choice of media you wish to display. 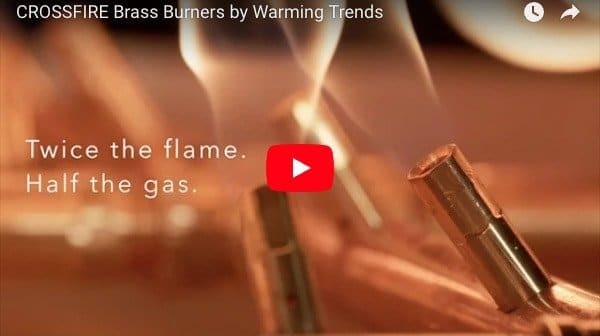 The most common is ceramic logs, yet there are several new options that have entered the market – specifically, fire glass and lava rocks; with each of these bringing advantages in terms of performance and aesthetic options. Fire glass is a tempered glass that is used in fireplace and fire pits for its dynamics, reflective capabilities, and unending color options. Tempered glass is different than regular glass due to it being tumbled and polished in order to prevent sharp edges and give it its heat bearing properties. 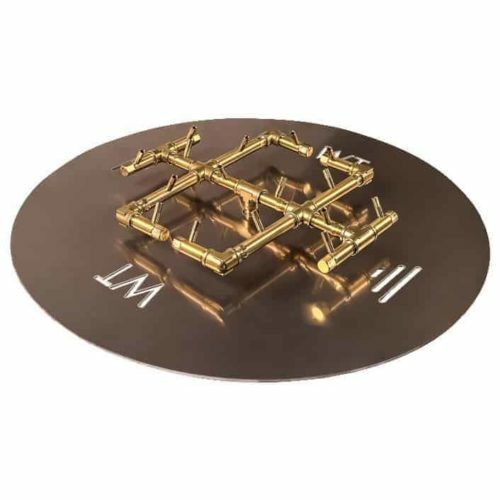 It is designed for gas fire pits and gas fire fireplaces because of this high heat tolerance and it will not melt, burn, or discolor. Nor will it create toxic fumes, smoke, ash, or soot. Fire glass was developed and is used to replace traditional glass logs allowing for an instant transformation of your living space. The flames dance above the sparkling glass offering a unique and dazzling sight, all the while committing to your heating needs. Since fire glass will not burn, melt, or discolor, it will last forever when utilized properly. If over time there is a dust build up, you can just scoop it out and wash and rinse it with any average dish detergent. There are many types of fire glass and we are excited to discuss all the options available to our customers, but before we do that, we would be remiss if we didn’t take a moment to discuss the timeless and traditional look of our Gas Fire Pit Logs. Montana Fire Pits offers its customers the most realistic ceramic fire pit logs available! 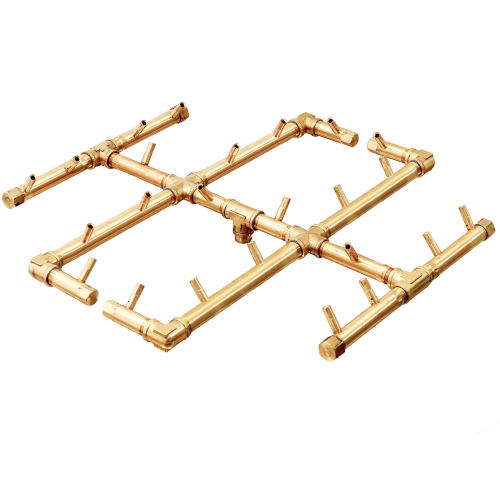 Our log sets are unique, realistic, and specifically designed to match and go well with our crossfire burners and our plate sizes. 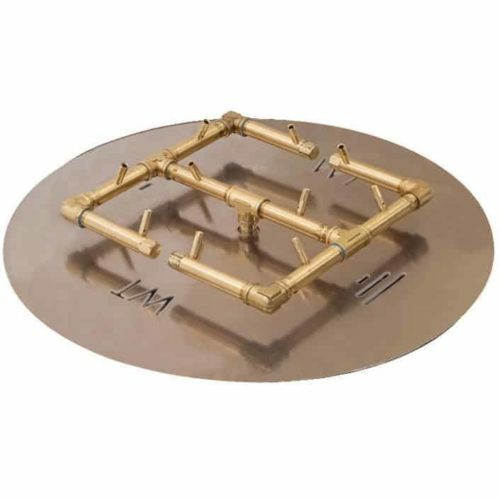 This timeless look is available and ideal for your outdoor NG or LP gas fire pit. These log sets arrive as individual logs and can be arranged by you in any configuration to achieve exactly the look you want. They are hand-made and hand-painted in the US and shipped right to your door! You WILL NOT find log sets like ours anywhere else! By choosing Fire Pit Glass, you can say goodbye to those drab old cosmetic logs and fire pit stones and introduce something truly eye-catching and unique into your fire feature! Customers looking for a more modern choice for their fire feature prefer the more decorative and contemporary media of fire glass. You have tons of choices and any size and style fire glass can work with your preferred gas-powered fire feature. It really comes down to individual preference and what you like best. You can even swap out multiple options depending on the season, event, or even your mood! Certain to captivate all your guests, these dazzling glass pieces will not only add beauty to your indoor or outdoor fire feature but will revitalize the atmosphere of your get-togethers. Guaranteed to impress, our fire pit glass comes in several beautiful varieties, including multiple sizes, shapes, and colors. Fire Pit Glass – Our standard non-reflective fire pit glass collection gives your flames an elegant surface area of jewel-like glass to dance and shimmer upon. Fire Pit Beads – Both fire pit beads and fire pit glass are similar in that they both come in lively colors and give off a hypnotic glow, but our fire beads are smooth, rounded beads unvarying in shape and size. Fire Pit Cubes – These gems offer a truly unique look for your fire pit. These square pieces of fire glass are shaped like small ice cubes and come in a variety of attractive colors. Flames wrap around the clean, straight lines of fire pit cubes to create an entrancing effect. Our reflective fire cubes are sure to impress! Fire Pit Diamonds – These amazing reflective nuggets are specially designed jewel-like tempered glass crystals that offer the reflective shimmer seen in diamonds. They are sure to add unmatched brilliance and sparkle to any fire feature. Whatever ambiance you are looking to create, rest assured we have the type of fire pit glass needed! What about lava rocks? Are they an option? 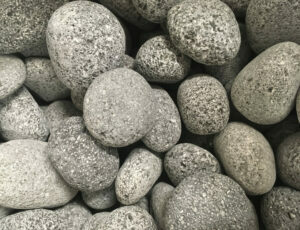 Lava rocks are special and excel at setting the mood for your outdoor or indoor living space. These porous stones offer an understated and refined base for whatever theme you may be looking to create. Lave rocks contribute to the scene as an understated element that absorbs heat and creates energy in their given environment. They are often used as fillers for fire pits and fireplaces and offer your fire feature an ancient and earthy ambiance. The texture of lava rocks is rugged and muted, with a traditional red hue that comes from the iron oxidation generated within the lava itself. Since other color options are available, lava rocks can extend beyond a traditional Pacific or Southwestern theme and add substance to any modern motif. Time-tested, lava rock is proven to increase fire pit combustion efficiency and performance while maintaining a classy look for any outdoor or indoor fire feature. 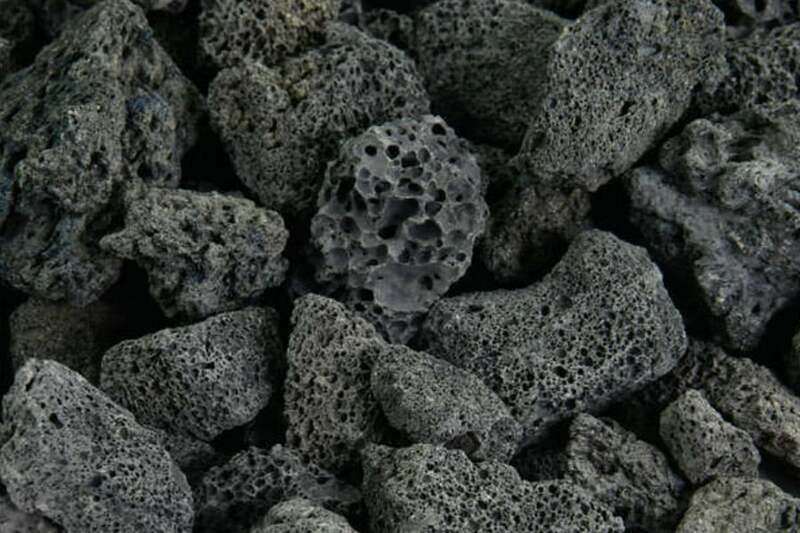 Lava rocks are also an excellent base for one of our specially designed fire log sets. Lava rocks give any fireplace an exotic yet classy look. Naturally occurring, they may be used exclusively or as a base or filler. 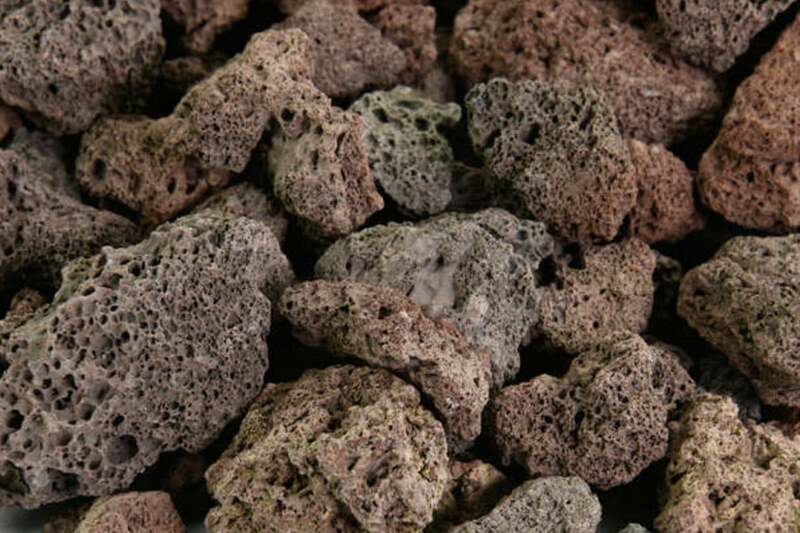 We offer a variety of lava rock that is available in different sizes, shapes, and colors. Which Media Should You Choose? All the fire media we offer are capable in terms of performance. For example, both fire glass and lava rock are good conductors of heat. But, the reflectivity of the fire glass enables it to absorb the heat better, and thus it can exude more heat. Plus, it comes in a variety of shapes and sizes which allows for more modernity and color scheming ability. And, since the disperse heat more evenly, it can make the surrounding area feel warmer. Lava rock, on the other hand, offers a more pastoral and natural look. It also costs considerably less yet does not offer you the options found in fire glass. If you like the aesthetic of lava rock, yet you want to enjoy more heat, you can always purchase smaller rocks. Lava rock does come in multiple sizes and colors, which does give you some freedom of design should you prefer rock over glass. Or do you prefer the timeless look of ceramic logs? After all, those never go out of style! Ultimately, it comes down to personal preference. Do you enjoy sparkle over a more natural look? Do you consider yourself more timeless and traditional? Or more modern and funky? The choice is yours and nothing is permanent. Owning your own fireplace feature gives you many options when it comes to design options. 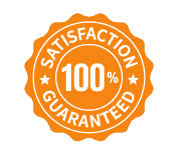 Should you need help in deciding what fireplace or fire pit media is right for you, give us a call and we will provide you with all the information we can in order for you to make the decision in which you are most comfortable.